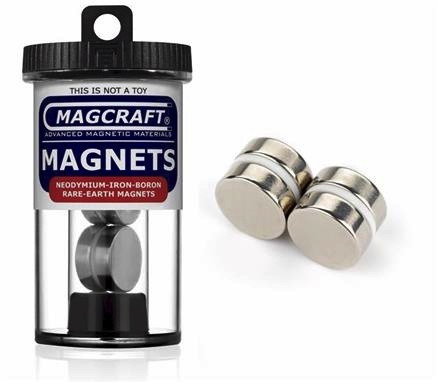 Rare earth magnets are the strongest type of permanent magnet currently made. They are amazingly powerful for their size and have innumerable uses. 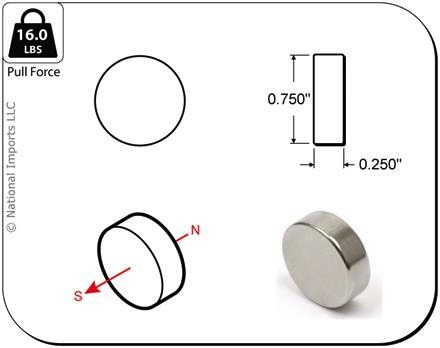 These disc magnets are 0.75 inch (19.1mm) diameter and 0.25 inch (6.4mm) thick. They are magnetized through the thickness. 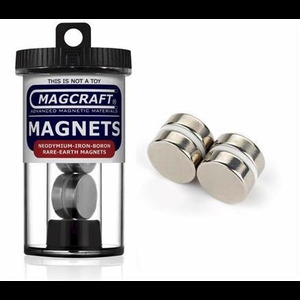 They are composed of grade 40 neodymium iron boron magnetic material and are plated in nickel-copper-nickel for a shiny corrosion resistant finish. Maximum working temperature is 176 F (80 C).